Diptera.info - Discussion Forum: Heleomyzidae indet.? 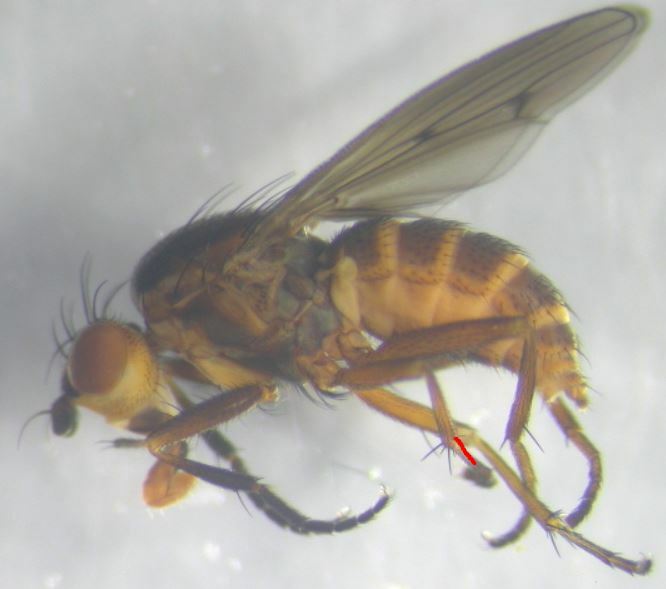 any advice on this fly, sampled last july in NW-France in coastal marram grass (Ammophila arenaria). 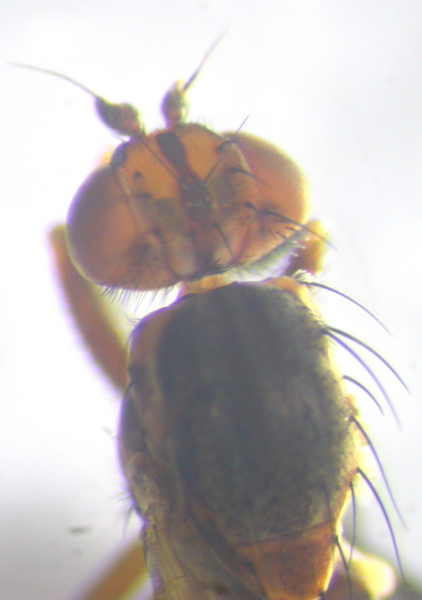 The Oosterbroek key brings me to Heleomyzidae (but I am pretty unexperienced when it comes to the less popular fly families). Excuses for the low quality pics, it's as good as it gets with the material I have available... If any other views are necessary, just give a shout! Pherbellia cinerella of the Sciomyzidae? Hi Paul, thanks for that. Going to check this first thing tomorrow morning. Aparently I took the wrong answer in the key when asked if a pre-apical bristle was present on the middle tibia. I answered yes but should have taken no to get to Sciomyzidae. I guess I thought where the red line is, was the pre-apical bristle? OK, ignore my previous post. I was wrong a few steps before with the bristles on the mouth corner.